37392 PER1434.jpg 500X638\PER1434.jpg 37393 PER1434_1.jpg 500X638\PER1434_1.jpg Send A Hint! 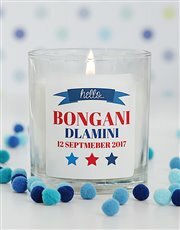 Product Description: less text Celebrate the new baby boy's arrival with this peaceful white candle in a glass jar (8cm x 9cm) with unique label design which is personalised with baby's name and birth date. 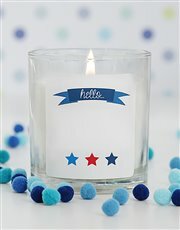 This is a special way of welcoming the new baby, so send now! 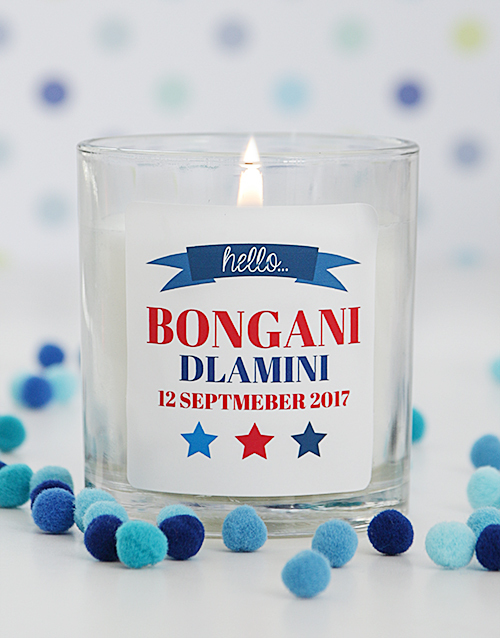 Get this Personalised Hello New Baby Boy Candle delivered with NetFlorist.